﻿Developed with cooperation and input from some of the most respected and knowledgeable swim coaches in the world. 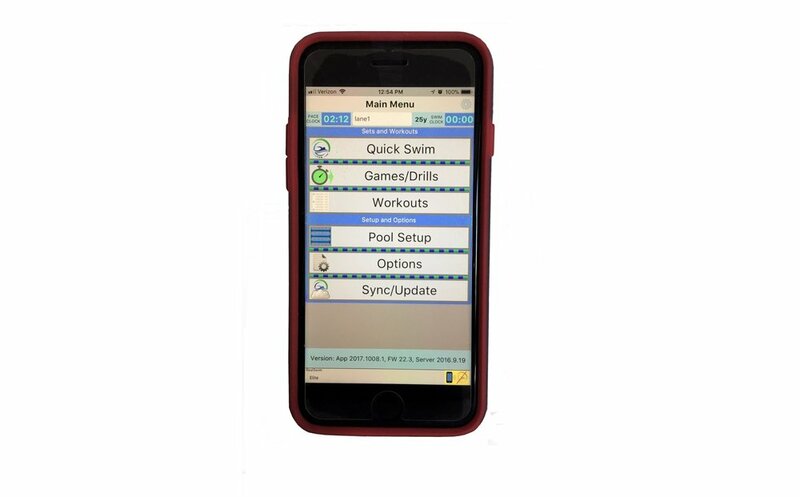 The LumaLanes system is designed to make workouts more fun and more productive while providing constant and instantaneous feedback to swimmers and coaches. The engineers at LumaLanes are continually refining and adding new features based on real-world feedback. INSTANT Feedback - Coaches AND swimmers can tell instantly if they are swimming on pace. Head Positioning - Keeps your swimmer's head right where you want it, looking down. Fully Programmable interval, pace, rest times and reps - Set distance, number of reps, and desired pace time. Every single aspect of your workout is here and fully under your control! 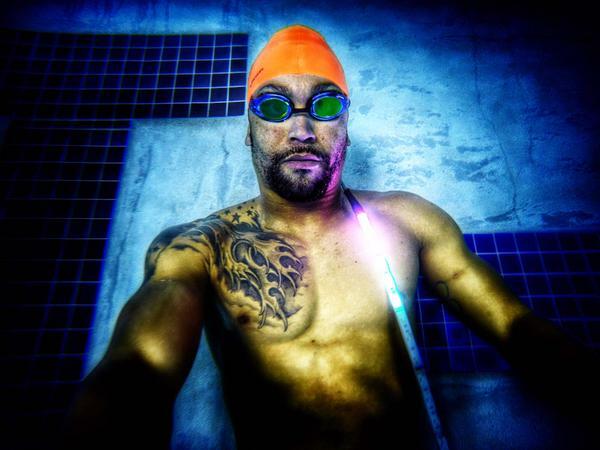 RealSwim Technology - Lights dynamically change speed to precisely lead the swimmer through all phases of each length from dive to wall pushes and approaches. RealSwim settings are customizable to accommodate all swimmer levels. MultiPace - Assign a different paces to each swimmer in every lane. All swimmers get a maximized workout based on their own pace. Cloud File Transfer - Set up your workouts on your PC, then transfer them to your phone for use on deck! Quick Swim mode - Gets you up and running fast! Set the number of swimmers in each lane, pick a pace, and GO! The pace and tempo can be adjusted "on-the-fly". Opposite End Start - Your sets don't start on only one end of the pool and neither should your pacing system. Automatically accounts for opposite end starts during Workout mode, and can be over-ridden at any time you need to change things up on the fly. Underwater /breakout Indicator - gives each swimmer a light which changes from BLUE (underwater segment) to a GREEN FLASH indicating the point at which they should surface. The underwater distance is completely adjustable from 2-15 meters. Tempo Indicator - a flashing indicator light that travels with each swimmer, this “visual” tempo trainer can be turned on/off and set to the desired rate in Secs/Cycle, Secs/Stroke, or Cycles/Min -- whichever units you prefer. Integrated Pace Clock - easily synced to your pool's pace clock, this allows LumaLane's delayed start function to start the lights right on time with your pace clock. Swimmers can focus on the lights or continue to use the pace clock for starts. Delayed start - Lights start automatically "on the top" (0 secs) or "the bottom" (at 30sec) with one touch, up to a minute in advance. Progress Tracker - continually updates and displays which length, rep and set the swimmers are currently on. And Naturally,.. teaches proper pacing - leads the swimmer visually, showing them exactly how you want them to swim a set or race to avoid going out too fast or slow and leave them with the confidence for a championship finish! Wirelessly controlled (using WiFi) from your Apple or Android smart phone or tablet . Dedicated processor for each lane ensuring accurate timing and fast response. Field-upgradable so new features and fixes can be easily installed. Updates are downloaded and installed wirelessly via "the cloud", using just your phone or PC. Powered from safe, waterproof power supply. The system itself runs on 12 Volts DC and can be powered by the included "universal" power supply (works on 110VAC-220VAC), or with a 12V car battery. Windows app and pool simulator - use to create/edit workouts and test them out on the pool simulator to see exactly what will happen at the pool. Simulator can even "fast-forward" thru a workout. On iOS, and iPhone 5 (or better) running iOS7 (or later) is required. On Android, V2.3 (Gingerbread) or later is required. Custom-designed embedded computer for managing network connections, online updates and system management. Lane controllers with a dedicated processor for each lane to ensure accurate timing. Built-in WiFi hotspot for communicating with your smart phone. Field-upgradeable software and firmware. New features are being added continually. Safe, low-voltage, full-color (RGB) LEDs; These LumaLanes custom-designed and manufactured, segmented LED strips are supplied on a handy reel for easy storage and transportation. These waterproof LED light strips are the heart of the system and are placed at the bottom of the pool. It takes just a couple minutes to lay a strip down. Available in standard lengths of 25y, 25m and 50m. Custom lengths can also be provided upon request. Most versatile strip available - Standard lengths from Five (5) to 50 meters, and a single 50 meter strip can be seperated and used as two 25 meter strips. Custom segments designed for a specific or custom length: 25 yards, 33 1/3 meters, what length do you need? Field replaceable segments - If a strip should fail, replace the bad segment and keep right on swimming! You can use your iPhone (iPhone 5 or better), iPod Touch, iPad or Android device to enter workouts and control the LumaLanes system via WiFi on deck. NO separate notebook or laptop computer required on deck, and potentially in harms way! Custom-designed weights hold the LED light strips in place at the bottom of your pool. 12V waterproof power supply, plugs into an AC (110 or 220VAC) outlet to provide power to the control box and lights. A 12V battery pack can also be used in situations where AC power is not convenient.